If you don’t have much experience traveling to other countries, trying to decipher the documentation required can be daunting. Here is a brief primer to help you put together the pieces. A Passport is an official document issued by your government, certifying your identity and citizenship and entitling you to travel under its protection to and from foreign countries. Everyone that travels to and from another country must have a passport. If you are from the U.S., Canada, European Union countries, Latin America countries, ASEAN countries, China and Australia your passport is all you need to bring, along with your return airline, to enter and leave Singapore. In fact, there are only a few exceptions! Singaporean law requires that travellers present a passport that has a remaining validity of at least six months. A tourist visa is issued on arrival. While in Singapore, every tourist should carry their passport with them at all times. The Singapore tourist visa is a rubber ink stamp mark printed into your passport. There is also a white immigration card – keep this to avoid delays and questions on exit. The visa grants you the right to enter Singapore and stay for a specific length of time. Tourists from the above-mentioned countries, arriving by air, boat or road, are generally permitted to stay in Singapore for 30 days if arriving by road and 90 days if arriving by air. If you will be staying longer than the days required, you can officially apply for a longer Tourist Visa, yet the practical solution, which you will do, anyway is to visit one of the wonderful Asia countries. Then on your return you will get a new Tourist Visa. However please do not abuse Singapore’s hospitality and generosity, breeches of the Law are recognised fast and dealt with equally fast. Most countries have embassy or consulates in Singapore, and they can always help you in case of difficulty. Tourist visas allow you to visit and enjoy Singapore, attend industry and trade shows and conferences, but you are not allowed to work. Also as a Tourist you can rent hotel rooms and short stay furnished accommodations. With a tourist visa you cannot rent unfurnished and long stay accommodation. 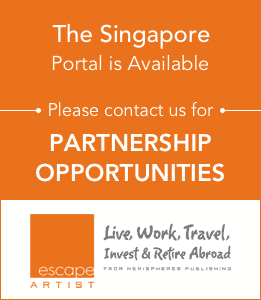 A Permanent Resident Visa allows you the right to stay in Singapore longer. Permanent residency may be granted if you are married to a citizen of Singapore or if you’ve resided legally for a number of years as a temporary resident with a work permit. It is not an obligation or a right. If you decide to become a permanent resident there are numerous visa options available and it is best to consult with a reputable Singapore Immigration Lawyer. You can be a permanent resident of Singapore and a citizen of your home country at the same time. Residency simply means you have the right to live (reside) in a country and usually pay tax if you are working. Gaining Singapore Citizenship also has different methods. You may request to become a citizen of Singapore, after you have lived and worked in Singapore under a permanent resident visa for some years. Also there are entrepreneurship and investor processes to get permanent residency and citizenship. It is best to consult with a reputable Singapore Immigration Lawyer. Singapore, currently does not allow dual citizenship, so on applying and successfully getting Singaporean Citizenship your original citizenship and passport must be revoked. Many people take this route. You may also have reasons to become a citizen of Singapore exclusively and choose to renounce the citizenship of your current home country. This is an option to consider carefully. Customs is clearance is very fast and efficient. Also be warned there are very stiff penalties for drug dealing and munition smuggling. You will be caught! Singapore has a very high technology approach to customs, everything is scanned and sniffed by the most advanced technology in the under ground luggage handling and delivery system. Singapore is pro-business which means speed of clearing through airports is important. So to spend millions of dollars on airport security and customs clearance is funds well spent. Do not be fooled by the lack of apparent inspection, it is the best and most advanced in the world with high technology and highly trained individuals – all beyond the reach of bribery and corruption. Singapore is largely a drug free and arms free country. At the airports there are the normal duty free shops and normal duty free allowances, for alcohol, tobacco, perfume and high technology. Changi airport itself is a huge shopping opportunity probably better that your local shopping mall. Enjoy the ease and security of Singapore.